Mable Lucinda Gray Bailey died Wednesday August 15, 2018 in Abilene. For 95 years she lived a life of joyful service to others. Her grandsons, John and Ben, will preside at services honoring her life at 10:00 am, Saturday August 18 at Ethridge Church of Christ, directed by Neal Funeral Home. A visitation with the family will be held at 9:00 am at the church prior to the service. She will be buried in Ethridge, Tennessee. Born Nov. 7, 1922, in Ethridge, Tennessee, to Benjamin Franklin Gray and Mary Elizabeth Rebecca Jones Gray, Mable was the couple’s third of seven children. Mable married Floyd Cecil Bailey in 1939 and were married for 62 years. In 1951 the family moved with their two young daughters, Judy and Tecia, to San Diego, California, to find better work opportunities. Floyd took the civil service exam and became a firefighter for the U.S. Navy. Mable went back to school and graduated from Midway Adult High School in 1961. She later became an LVN and worked for many years as a nurse and office manager for a San Diego physician. The Baileys became part of a small newly planted congregation, Linda Vista Church of Christ. Mable served actively in that congregation where her home cooking and hospitality were legendary. Mable used her handwork to bless others, quilting and crocheting hundreds of baby blankets for newborns at home and across the country. Mable was a gifted dancer and taught her grandchildren the Charleston and clog dancing. After Judy and Tecia were grown, the Baileys adopted a third daughter, Josephine, age 12. They remained in San Diego until Floyd’s retirement in 1970 then returned to Ethridge where Mable again served in the church, visiting nursing homes and volunteering for Meals on Wheels. Floyd died in 2001 and four years later Mable moved to Abilene to be closer to Judy’s family. She lived at Christian Village, where she was an active part of the quilting ministry and made dear friends including the executive director Linda Mitchell who remains a dear family friend. 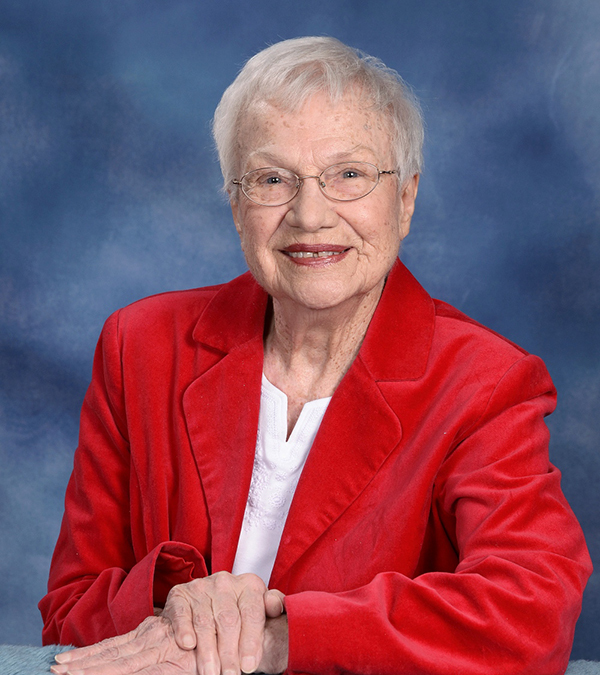 Mable loved God with her whole heart and she truly loved others and will be remembered as a friend to all. If there was a person in pain or in need she did all she could to help them with loving service. She fed the hungry, clothed the poor, visited widows and loved children. Mable is survived by three daughters: Tecia and Mike Southwood of Crystal Lake, Ill., Judy Siburt of Abilene and Jo Mounce of Lowell, Arkansas; by two sisters, Mary Alice Gray Mosteller of La Mesa, California, and Frankie Nell Gray Gamble of Nashville. She is also survived by nine grandchildren: Mark Maxon of Palatine, Illinois, Marla Archuleta of San Diego, California, Michael and Lisa Maxon of Union Grove, Wisconsin, John and Sarah Siburt of Garland, Ben and Emme Siburt of Abilene, David and Idalina Yoakum of Arlington, Michelle and Ross Shairrick of Palm Coast, Florida, Angela and Joseph Craig or Centerton, Arkansas, and Jessica Mounce of Springdale, Arkansas; by 11 great grandchildren, three great-great grandchildren and many nieces, nephews and friends who loved Mable and were part of her family. The family wishes to thank, for their excellent care, Dr. Joseph Ferguson, Dr. Samantha Goodman, Dr. Elliott Vann and PA-C Marcus Spencer, Dr. Yamini Kalla, the nurses and the volunteers at Hendrick Hospice and her care givers at Silver Spring. In lieu of flowers those who wish to honor Mable’s life of service may do so with a gift in her memory to Hendrick Hospice Care Center (www.hendrickhospice.org ), CitySquare (citysquare.org) or to the charity of your choice.